Providing the right information to the public is key to the protection of rock art sites around the world. Several strategies have been implemented to promote these sites, based on their historical significance, location and accessibility. However, most Canadian sites are located in surroundings that make their promotion rather difficult, even impossible. The required infrastructure is non-existent, because the sites are quite remote or their access is dangerous. Sometimes, the presence of sites is identified on tourist information panels. Such is the case of the Rocher à l’Oiseau site, where specific indications are provided to inform and hopefully prevent people from vandalizing the site with graffiti. In national and provincial parks across Canada, a host of strategies have been adopted to promote and protect rock art sites. The first strategy used involves not revealing the presence of a particular site and making its access more difficult. The heritage value of easily accessible and well-known sites is sometimes promoted; however, these sites are often vandalized. Barriers are among the means employed to protect the rock art images from direct contact with visitors. Interpretation centres have been set up at a certain number of sites to help appreciate rock art heritage. Among them is the Peterborough Petroglyphs (Kinoomaagewaabkong) site. In the 1980s, a building was built over it to protect the rock art. 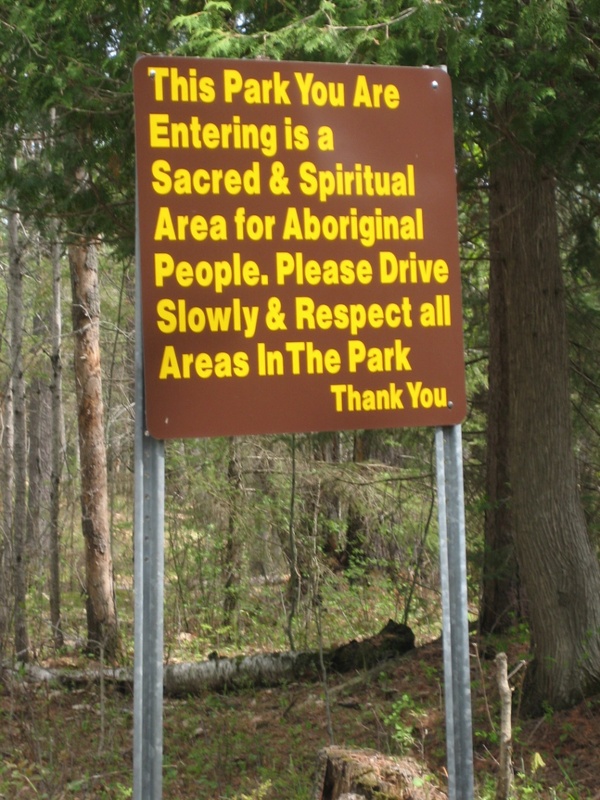 The site is co-managed by the Ontario provincial park and the Curve Lake First Nation. 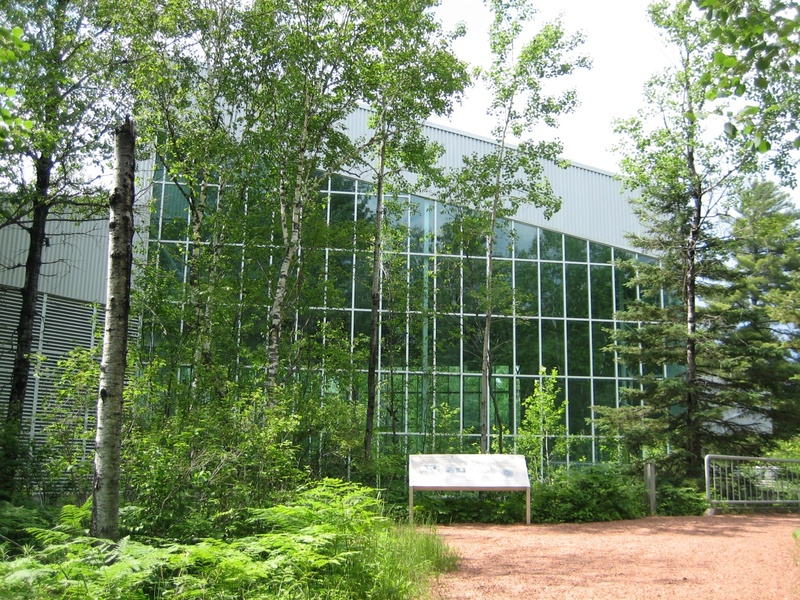 The interpretation centre focuses on the significance of the site for the spirituality of today’s Indigenous peoples. Visitors are encouraged to respect the integrity of the place and honour it in order to allow future generations to experience this invaluable heritage. They should always be aware of the importance of this heritage for Indigenous peoples and other Canadians. Ultimately, visiting a rock art site can be a moving experience. No Canadian rock art sites are registered on the UNESCO list of World Heritage Sites, although Áísínai’pi, in Alberta and the Qajartalik site, in Nunavik have been added to the shortlist of sites proposed by Canada. A few sites have been identified as National Historic Sites of Canada, such as Áísínai’pi, Kejimkujik, Mazinaw Pictographs (the Bon Echo site in Ontario) and the Kinoomaagewaabkong site, in Ontario.